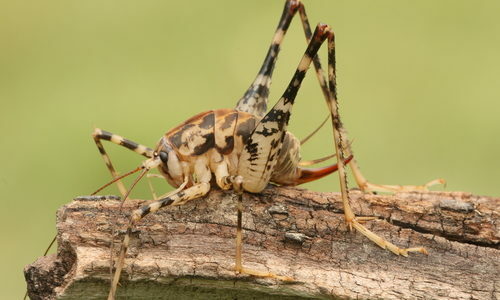 Camel crickets, unfortunately for anyone that stumbles across them in their basement, look very similar to big spiders. They’re not, though, made evident by the fact that they only have six long legs. Other main physical characteristics of camel crickets include a curved back and hind legs that are shaped similarly to drumsticks. They come in various shades of light brown and tan, measure between 1 and 1 1/4″ long on average, and don’t have wings. Camel crickets don’t have great eyesight, so they’re the most active at night time when they use their two long antennae to navigate by sensing temperatures. Unlike a typical cricket, they do not make noise by rubbing their wings together, but like a typical crickets, they do lay eggs. Female camel crickets can be told apart from males because of their ovipositor, a tube-like appendage that is used for laying eggs. Not particularly. They’re crickets, which means that they don’t have any fangs or ability to bite. The problem with camel crickets is that they like to graze on fabrics and other things that can be found in most homes. Additionally, because of their big back legs, they’re great jumpers, which means if you find a bunch of them in your basement… it can get fairly frightening fairly quickly. So, they’re not dangerous, but they’re trouble. Why do I have camel crickets? We’ve already mentioned that camel crickets will eat whatever they can get their mouths on (they’re omnivores), which means that if you have them it’s likely just a combination of bad luck and the right circumstances. How can I prevent camel crickets? There are plenty of ways to help prevent camel crickets from entering your home. First, make sure that the seals around your floors, windows, and doors are all in good condition so there aren’t any holes they could be sneaking in through. Since they tend to prefer dark and damp areas, making sure you have working dehumidifiers in places like your basement is also a big help. Finally, try your best to stay tidy both indoors and out by not letting vegetation pile up right outside your home and, on the flip side, not letting trash, boxes, and similar prone-to-piling things stack indoors. 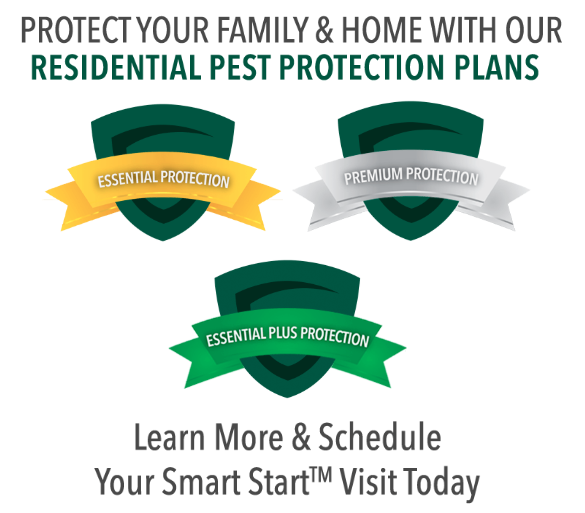 How can Gregory Pest remove camel crickets from my home or business? When you hire us to evaluate your home’s problem, one of our pros will be sent to assess the situation and then formulate and determine the best plan for elimination and prevention.